This is classic Americana if I've ever seen it. Big, useless fins sticking out the back for no other reason than to cause a couple of blind spots and show people you've got money and style. I think the fins were at they're best in 58-59, but they made a decent showing in the 60-62 years as well, although they tamed down a bit. 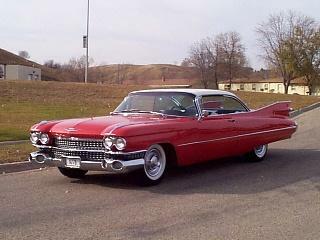 Convertible or not, this is one bad land yacht that I have to own. 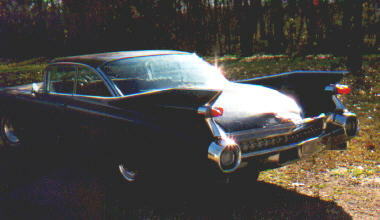 These two pictures are of 1959 models. Some of the later, tamer years, circa 1960. 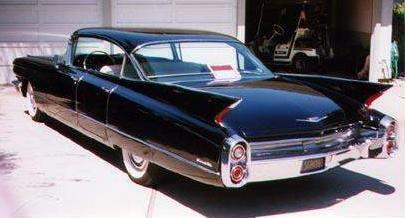 Below is a '60 Sedan Deville.